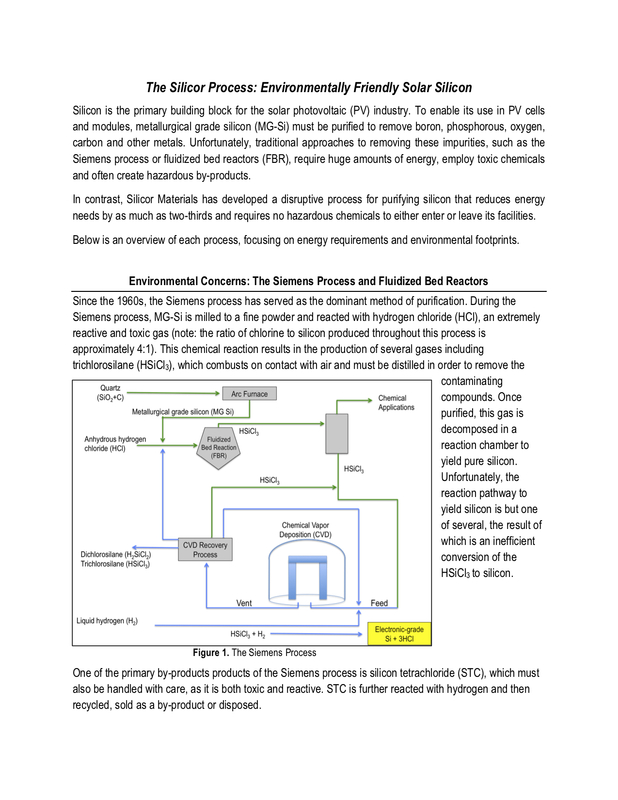 Polysilicon manufacturing can be one of the most environmentally hazardous product processes in the solar PV value chain, partially because the Siemens method requires large amounts of volatile trichlorosilane gas. By contrast, Silicor’s process requires no handling of hazardous gases, improving safety for both workers and the surrounding environment. Furthermore, our energy-efficient process has a much smaller footprint than that of other silicon manufacturing methods. Whereas traditional approaches can require as much as 120 kWh to produce one kilogram of silicon, Silicor’s process is able to produce the same quantity at just 20 to 30 kWh per kilogram. 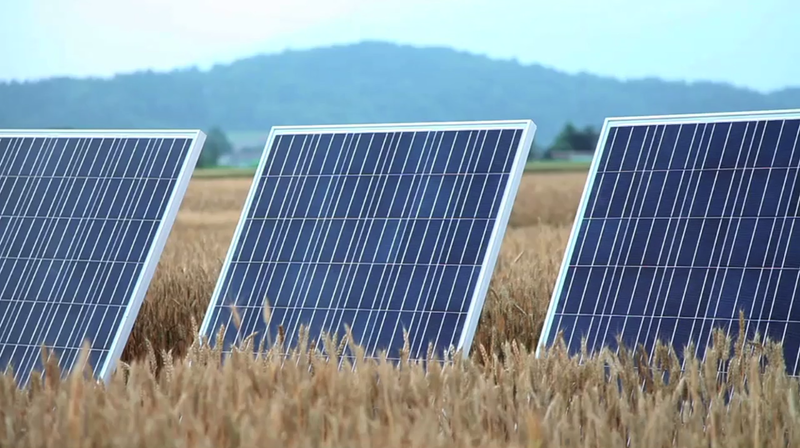 These significantly reduced energy requirements help us slash greenhouse gas emissions, and enable a larger energy payback for our customers—all without compromising product performance. For more information, please read our latest whitepaper.